The Black Death was a combination of two related diseases. The first disease is called bubonic plague, and it was carried by fleas traveling on the back of black rats. The second disease is called pneumonic plague, and it was spread by contact with a person who already has the disease. At the time of the Black Death, rats infested grain ships traded grain all over Europe and the Mediterranean Sea. The bubonic plague probably started in China. From there it spread into central Asia, India, and then into Persia, Syria, Egypt, and Turkey. It arrived in the Mediterranean in the island port city of Messina, Sicily, in October of 1347. The people who lived in the town were horrified when the crews on more than a dozen Italian trading ships arrived in port. The crewmen were covered in black, golf-ball sized lumps. These black lumps covered their bodies, and everything about them had a horribly foul smell. Quickly, the frightened people of Messina fled the city. Unfortunately, their hasty flight only spread the highly contagious disease faster and further into Italy. From the island of Sicily it moved amazingly fast through Europe. 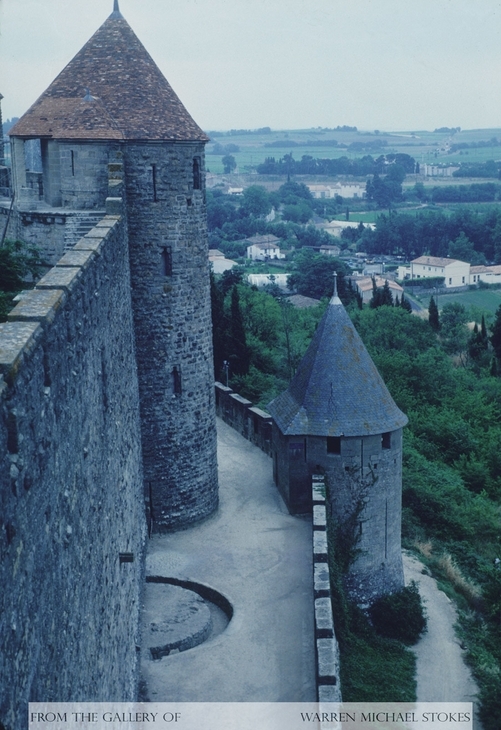 In early 1348, it was already spreading across France, and on its way into eastern Spain. Only a year later Paris would report more than 800 dying daily. By 1349, it had made its way across the English Channel, infecting Ireland, Scotland, and Great Britain. Unfortunately, the Black Death occurred during a time period when little was known about sanitation, germs, or bacteria. It occurred during a time when some people went their entire lives without taking a bath. Making things even more unmanageable was the fact that many lived with their cows, goats, sheep, and horses. Often animals contacted the disease and spread it to the owners. From the very first outbreak it was common for people to flee ahead of the disease. Many responded by refusing to come in contact with other people, including their family members. The disease ravaged the body so quickly that a person could go to bed feeling fine and die in their sleep. During the early 14th century Europe was suffering from overpopulation, and they no longer had the ability to feed the masses. This problem would no longer exist after the plague struck. 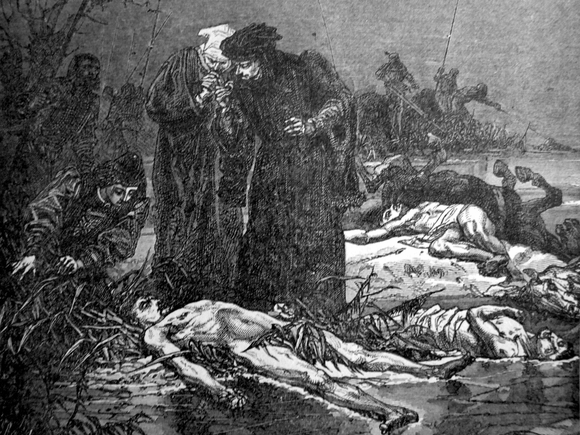 Our best estimates tell us that approximately 1/3rd of Europe died from the plague during the years of 1348 and 1349. In the larger more crowded towns as much as 50% of the population were lost. Throughout the 15th, 16th, and 17th centuries the plague would return. This endless state of reoccurring would forced people to live their lives in fear. It killed so many people that the population of 1500 was much lower than the population of 1300. The population declined so much that there was now an excess of farmland and a shortage of farmers. One of the good things that occurred was that the plague created labor shortage forcing up wages. In all, the standard of living was much higher in 1500 because of the great population loss. We do not know exactly how many people died from all of the plagues. We do know that tens of thousands of villages disappeared, and that across Europe no one avoided the horrors of the disease. Some historians believe that 1 in 3 people perished, and in all they tell us that over 20 million died.